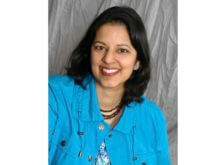 Dr. Deepali Kumar is Associate Professor of Medicine at the University of Toronto. She is a staff physician in the Multi-Organ Transplant Program at University Health Network. She obtained her medical degree from the University of Ottawa and did infectious disease training at the University of California-San Diego and McMaster University. She further did a Masters degree with a focus in vaccination of transplant recipients at the University of Toronto. Dr. Kumar has a translational research program that consists of both clinical and laboratory-based research. Her research focuses on immunologic responses to vaccines and viral infections in immunocompromised persons. She has authored over 120 manuscripts, editorials, and book chapters. She was member of the National Advisory Committee on Immunization from 2008-2015 and is involved in writing national, provincial and local vaccination guidelines for various immune compromised groups.